Delicious sushi & teppanyaki that even Japan is jealous of. 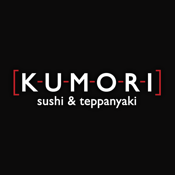 Kumori Sushi & Teppanyaki prides itself in offering only the freshest ingredients available. Our large menu of different rolls, rice dishes and teppanyaki guarantees that everyone will find something on the menu that they love. Kumori has locations throughout McAllen as well as Brownsville and San Antonio to better serve our customers. We are all about giving our customers the best quality food available. Kumori offers a variety of creative and innovative rolls for every individuals’ unique tastes from fried and hot rolls to refreshing salads. We invite you to visit us to enjoy a great experience!